Although get web design software from the software development company. In other words, we connect software companies in Lahore Pakistan-Software developer. We have a perfect, clean as well as an economical approach to Software Developments. However, if you are looking for a talented software developer, First Idea is the perfect place for you. Your Ideal Custom Software Development Planning & Packages! We critically analyze the system and software product what actually client needs. This is the long process but no need to worry about. Because this is the initial phase that leads to building a refined product. We provide a checklist of requirements and a contract between you and our team. Starting at Just PKR, 1,000/per hour. There is more beneficial for your business if you launched your product in the market. Software marketing depends on the nature and Functionality of the product whether it is suitable or not. Well, this depends on you if you made a general software than we will send it to the digital market. Likewise, a sporting activity played according to rules, In general, we say that a digital service which gives an opportunity to play a sports game in mobile and desktop devices. In addition, game development used different languages and platforms. Such as unity, C#, and more other frameworks. 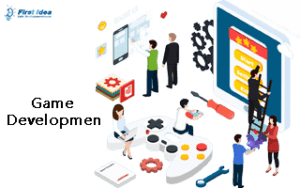 As a matter of fact, First Idea Web Development, also renowned as a Software development company is delivering end-to-end software development services. However, we also provide Quality Assurance and support solutions to our clients effectively. In addition, we deal with every project with devotion, exceptional engineering talent and commitment to the protection of client’s IP addresses. So, our company is offering the services in Web Design Software, Software Development in Pakistan, New Software in Lahore Pakistan because of its capabilities. 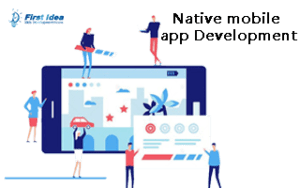 As compare to other Software companies in Lahore Pakistan, a first idea web development company is providing more efficient software because of its professional developers. Firstly, we are providing the services of Web Design Software. First Idea Web Development is a renowned name in Web Design Software Development. Furthermore, you can easily connect different software in different locations through only one computer. 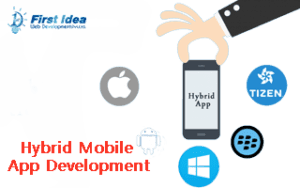 Moreover, we will also design a mobile app through which you can see all the work done on the software. In addition, it also provides details about sales, inventory, cash flows and stock left. Also, we aim to make Pakistan digital in this era. While our company policy is to deal with customers in Quality aspects. The first Idea is one of the prominent names of Software Development in Pakistan or Software developer. 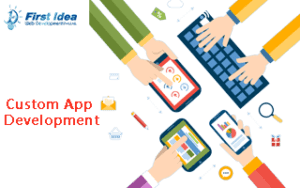 Furthermore, our company is offering you custom software development and consulting services to pull the next project in less time and reasonable cost. Moreover, we are providing custom designed software services in Pakistan. While our company has an excellent team of developers having a couple of years of experience in Software Development. In addition, we provide easy and optimal solutions for software development. As a result, this feature stands us prominent in our competitors. Hence, the first idea web development company is providing best one software, this is because of its professional and experienced team. By comparison with others, we are one of the best Software Companies in Lahore, Pakistan. Specifically, the first Idea has a dedicated and dynamic team towards problem approaching as well as we are in business with our clients of a long-term relationship. Therefore, we stand prominently due to our loyalty and customer satisfaction. Moreover, we are best in software development. First Idea team has excellent expertise towards New Software development. Moreover, we are very delightful to assist people in their daily life problems. Moreover, our talented and efficient team is more adaptive towards new projects. So, we have proud such a best team with us. Furthermore, if you are looking to develop new software, don’t forget to remember the services of first idea web. Because we are offering more valuable services than others. Hence, to get a software development service do not move anywhere. Although we are well-known software house we give priority to our customers. So, you will get what you need. For more information about software developers, please click here. So, Order now for custom web development. What should I know before contacting you? Although, this is the most important question and the most important thing for a customer to know what you want to develop. For this reason, you must have a clear vision in your mind before you ordering software that you need from First Idea Web Development (PVT). How much time have you taken for developing my project? Well, giving you a close answer. So, we must prepare a project scope and create a budget. Although, we shall tell you it depends on the budget that you have for the project and then we’ll be able to estimate the time frame. How do you guarantee about the product and its quality? Although, we evaluate the product as well as its result after some interval of time because we test our development and acceptance behaviour. Furthermore, we present our work to you and other people and apply changes according to the given feedback. Firstly, it depends on the scope of the project, the time frame spends on the project and the technologies which are used in development. However, Being Honest with you we made some calculation from every aspect of development and provide you a rough estimate that is 1000/- PKR per hour. So Order Now.